Today, the MHL Consortium (Nokia, Samsung, Silicon Image, Sony and Toshiba) announces that the MHL 3.0 specification has been finalized. According to the consortium, "MHL technology is optimized for mobile and it allows you to send uncompressed high definition video and up to 8 channels of surround sound from your MHL smartphone or tablet to any digital TV or display, all while charging your device." "With double the bandwidth compared to the previous specification, MHL 3.0 delivers 4K (Ultra HD) resolution and a wider color gamut to create a more brilliant visual experience, solidifying MHL’s growing presence in the living room. By using a bi-directional channel that’s significantly faster than MHL 2, the new specification enables concurrent 4K video and high-speed peripheral support of mass storage and input devices such as a touch screen, keyboard and mouse", says the group. Sarah Carroll with Futuresource Consulting explains the necessity to have 4K video baked into the new specification by saying, "as broadcasters and content service providers strive to innovate and drive revenues, many of the global players including Comcast, NHK, the BBC, Orange and Netflix are trialing and/or announcing plans to deliver UHDTV content." She further explains, "As TV everywhere initiatives are also a priority for the world’s broadcasters and online service providers, MHL’s technology solution with HDCP 2.2 will enable the secure delivery of 4K, premium content between different devices staying ahead of the consumer demand curve." In other words, 4K video will soon be widely available and future smartphones and tablets will be able to stream it to your TV via the MicroUSB port -- very cool! I reached out to the MHL consortium to see which mobile operating systems will support the new 3.0 spec. 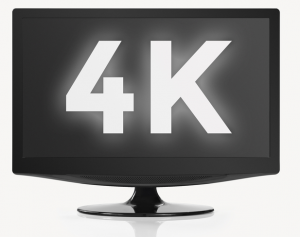 "We are OS agnostic, but the hardware platform needs to be able to support up to 4K resolution", the group replied. Are you excited for MHL 3.0? Will you make sure your next device has it onboard? Tell me in the comments.